A sheltered but impetuous young beauty, Lindsay Somerset would risk anything for a succulent taste of wild adventure–and Jared Giles, the dashing Earl of Dovercourt, is the answer to her prayers. A gallant and fearless gentleman, he is rumored to be a spy–and the ideal man to fulfill Lindsay’s most cherished, unspoken desires. 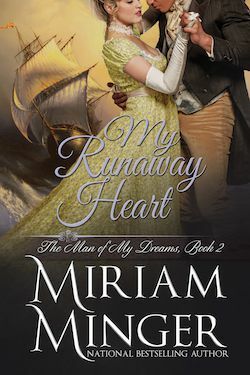 But once aboard ship on a raging sea, Lindsay realizes her bold hero has a dark secret and passions that know no bounds.